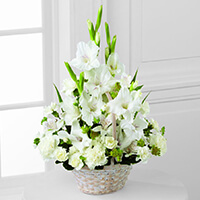 Provide comfort for the family of Mary Lou Crossman with a meaningful gesture of sympathy. Mary Lou Crossman, formerly from Deer Lodge, MT, passed away in Billings, MT on Tuesday, December 11, 2018. She was born on March 2, 1940, in Missoula to Sam Karras and Nettie Reichert. Mary Lou was preceded in death by her parents and her brother and sisters, Ruth, George, Lorraine, and Betty. She is survived by her children, Rick Crossman (Cathy) of Spokane Valley, WA, and Bev Freeman (Dan) of Billings, MT; her grandchildren, Rikki Crossman, Ryan Crossman, Andy Freeman (Caty) and Mackensie Smith (Chris) and one great granddaughter, Layla Freeman. She also had two special step-grandsons, Chad Ward and R.J. Ward. The family would like to give a special thanks to mom’s caretaker, Barbara Evans, and Welcome Home Valley Care in Stevensville, MT. Barbara and her whole family were mom’s angels in her final year of life. Services will be Friday, December 21st at 2 pm at the First Presbyterian Church in Deer Lodge. To plant a memorial tree in honor of Mary Lou Crossman, please visit our Heartfelt Sympathies Store. 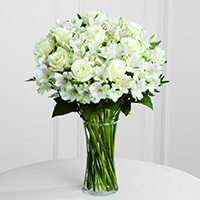 Your Neptune Aviation Family purchased the The FTD Cherished Friend Bouquet for the family of Mary Lou Crossman. Thinking of you during this difficult time. May God give you strength. Todd and Kelly Smith and family purchased the The FTD Eternal Affection Arrangement for the family of Mary Lou Crossman.